Today's article is not going to be long as I usually make them. 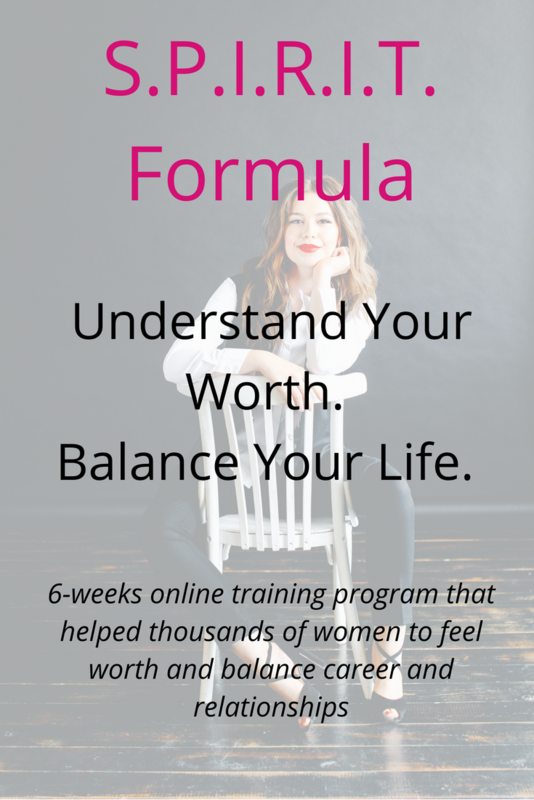 Today I want to guide you through 5 simple, practical steps on how you can use to overcome resentment in your relationships. As resentment is the most common problem that keeps us from fulfillment and takes away our joy. It often prevents us from growing and evolving not just in relationships, but in our careers or spiritual lives. You might have at least one friend who is stuck in the same drama for ages! As compassionate as you're, even you want to say: "Just let it go...!" 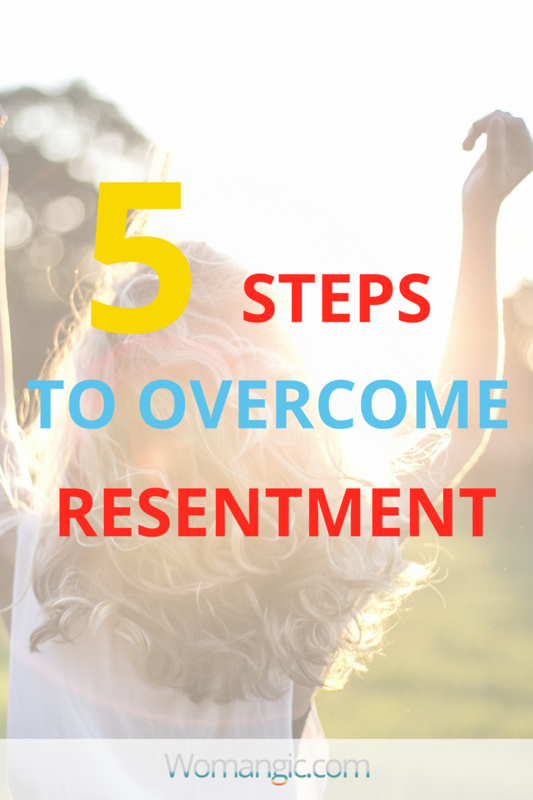 But when it comes to our resentment and pain, it is never as easy as we want it to be. What is the nature of resentment anyway? What kind of emotion is it? And where does it come from? These questions used to keep me awake in the middle of the night. Well, this is a pretty nerdy thing to be bothered about, but as my brilliant friend once said building a new social narrative is as hard as inventing the electricity! If for centuries we chose to look at resentment as a one-way street, where do we search for the map that brought us there in the first place? Consciously accessing more choices (in our own brain!) is just about expanding our database of information. When someone told you about this particular car, you start to see this car everywhere. Did it exist before? Sure. Did it exist in your world? No. That's why these five steps are so important. When you allow more positive ideas and energy to be recorded in your unique worldview database, you open more opportunities for your happiness and success. So here we go, let's make this one-way resentment road, the most vibrant and bright avenue in town. Often what makes us feel resentment about the past is the fact that we denied ourselves, disrespected, doubted ourselves because someone said something. This is when you give your power away. I noticed that very often even though we believe our resentment is about the other person; it is more about regret that we didn't do what we wanted, pushed back our feelings or let the situation happen. Forgive yourself. Everyone makes mistakes; this is your time to move on. We often hold on to resentment because we keep letting others violate our boundaries. It is easier to deal with hard feelings when your personal space is safe and protected. Get clarity on what attitude you allow and what is not acceptable to you anymore. Say to yourself: "I love and respect myself enough not to tolerate disrespect" Repeat this phrase with things you wrote down in your "Boundaries" list. Resentment is like a snowball. It keeps growing and growing, and the very small thing that happens seems like a huge deal. To prevent this from happening it is essential to energetically clear emotional situations from the past and mentally let these memories go. It feels that the more intense emotion we experienced, the tighter the robe that ties us to the moment. When we clear it, we immediately feel lighter. Every time you criticize yourself or regret, you energetically strengthen the past situation you're thinking about. Every time you feel bad about smth you didn't do or did, put a hand on your heart and say: "I forgive myself for..." and "I love myself for..."
Fantastic author Gay Hendricks says that repeating "I love myself for.." regarding things you hate about yourself or regret helps to forgive yourself and not repeat the same patterns. We tend to pay attention to what we lost. But we attract what we focus on. It's helpful to think what you learned and how you can improve your life with this understanding to let go of resentment. I genuinely hope this was helpful!